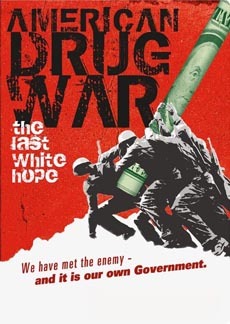 he "American Drug War: The Last White Hope" was an interesting, albeit misguided documentary by Kevin Booth. The piece focused on the American war on drugs, implemented by former U.S. President Richard Nixon. I certainly didn't agree with Nixon's Watergate scandal or the fact he misused the Secret Service to spy on rivals such as Ted Kennedy, looking for dirt on the senator, to disgrace and discredit him, such as adultery. How ironic, given the illegal wiretapping he was engaging in. Oh, times haven't changed. 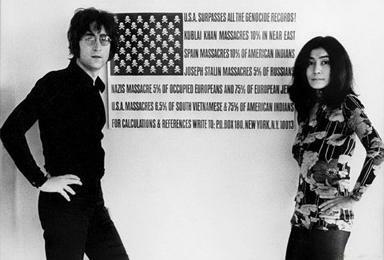 I also did not agree with Nixon spying on and seeking to deport singer/songwriter John Lennon. It was one of the worst political moves he made. 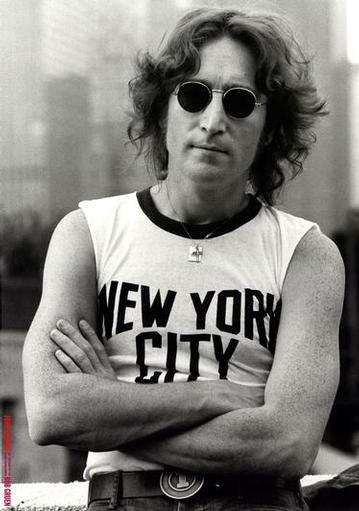 Lennon was no saint, but to turn that level of federal attention, into prying in his life, was unconstitutional. However, Nixon was right to initiate the war on drugs. I didn't agree with this documentary, as it glorifies drug use and condemns the authorities for trying to stamp it out. Another irony of this documentary is, so many of the interviewees were stoned out of their minds and it is proof positive drugs are not good for you. What kind of an endorsement for the drug trade is a group of men and women slurring their speech, speaking incoherently and looking dead in the eyes, clearly suffering from an ongoing loss of brain cells. They were incapable of proper thought and speech. Sobriety, intelligence and responsibility are the better choice. However, I do not wish to condemn them for their addictions, as many people struggle with horrible emotional pain and choose drugs as the outlet to forget the bad things that have happened to them, but it is not the right choice. Keep trying to get sober and drug free. God bless you. Another misconception stated in the film is, "Music and drugs go hand in hand." I beg to differ. Stoned musicians turn up for work late, costing everyone including themselves income, cannot get their act together, make many mistakes while recording and performing at shows and destroy their vocal chords with drug abuse. Cocaine, crack and smoking are not good for the human voice. It is referred to as, "Opening up your mind" but what are you opening it up to? Paranoia, schizophrenia, brain cell depletion, scary imagery and hallucinations. Interestingly enough, Robert Steele, a former CIA agent featured in "American Drug War" stated, prior to the September 11th attacks, there were, "No drugs under the Taliban" but now the region, "Is responsible for 80% of the heroin coming to the United States and Western countries." 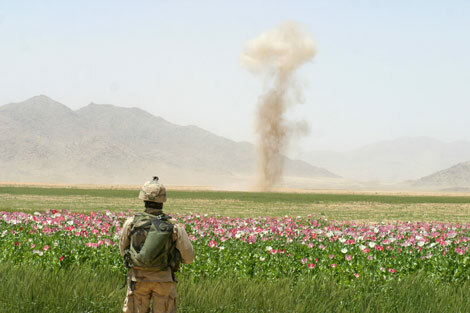 A former DEA Agent, Celerino Castillo III, also stated the Taliban was against "opium crop development" but after September 11th, "with the U.S. government controlling Afghanistan" poppy flowers grew in abundance and shipments to America increased. 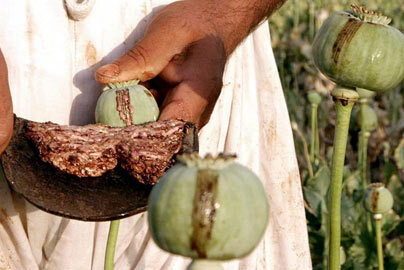 It also explored the Taliban's role in the drug trade. Another allegation included, Osama's alleged anger towards George W. Bush for attempting to reduce opium and heroin shipments. 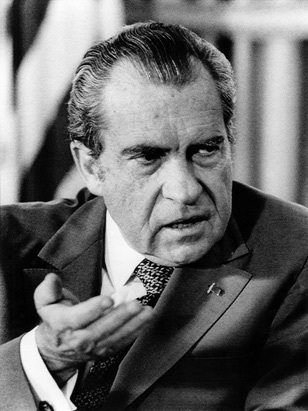 It was stated, Nixon gave Nepal $50,000,000 to outlaw drugs and hashish. However, later, the CIA allegedly, "Allowed drug production for political reasons." Another item of note, is a segment featuring incarcerated drug dealer, Freeway Ricky Ross, who rapper "Rick Ross" took his name and persona from, for his hip hop career, which has been called into question for the past year. The documentary points out that drug dealer, Freeway Ricky Ross, "Is at the bottom of the food chain, so he went to prison." While, according to CIA Officer, Robert Steele, "All the guys that violated the law, that ignored Congressional sanctions on Iran Contra, they're all in power. And George W. Bush, a guy that never succeeded at anything and is certainly not succeeding at this presidency, a guy who stole two elections, who has committed at least 10 impeachable offenses, he's President of the United States." It goes on to list the men "still in power" as Otto Reich, Elliot Abrams, John Pointdexter, Michael Hayden, Robert Gates, John Walters and John Negroponte. Then it closes with the hard-hitting line, "Ricky Ross is doing George Bush's time."